It’s nice that the NFL hired outside consultants to advise the league on its policies regarding players who are involved in domestic violence incidents, but the Rev. 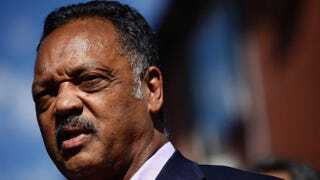 Jesse Jackson believes it is incredibly inappropriate that all of the consultants are white, Al-Jazeera reports. Despite the lack of diversity with regard to race, all three women are seemingly qualified and cut their teeth on the issue of domestic violence. Jackson’s critique of the NFL is just one voice in the firestorm of criticism that has been levied against the football league all year for the way it handled the Ray Rice fiasco that has dominated headlines in the past few weeks. The former Baltimore Ravens running back was cut from the team and suspended indefinitely from the NFL for hitting his then-fiancee, now wife, Janay, in February. Rice has appealed the NFL’s suspension.